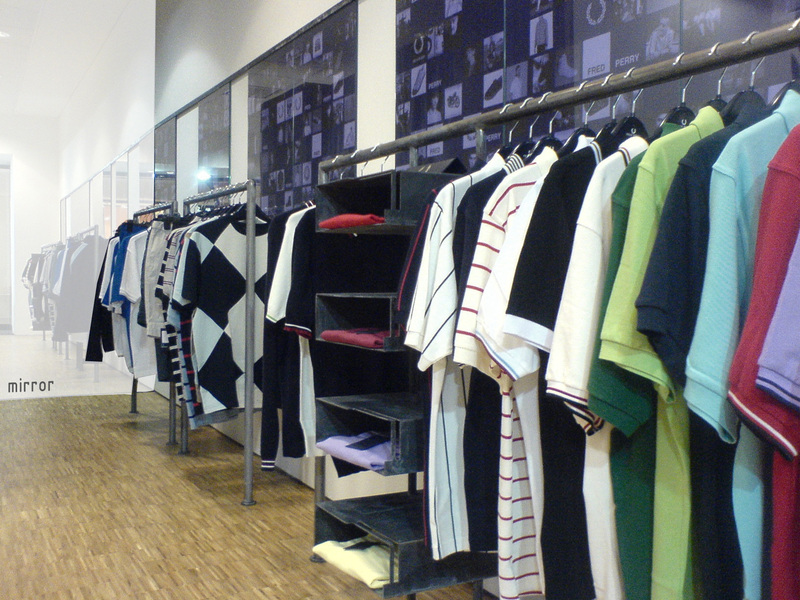 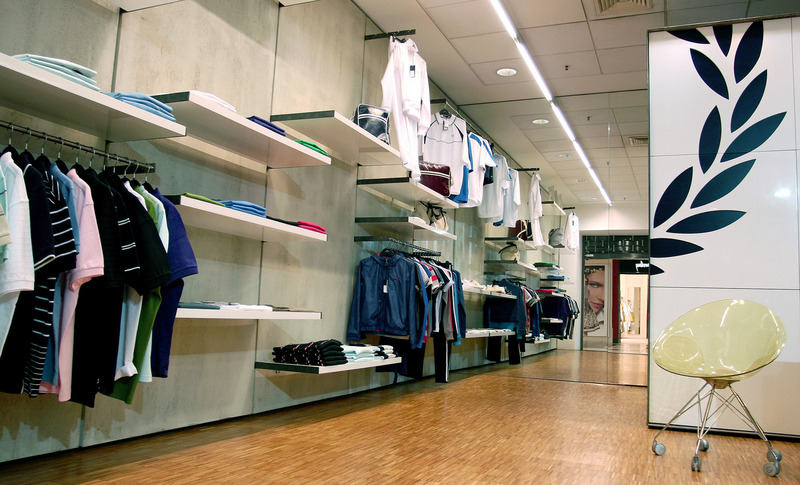 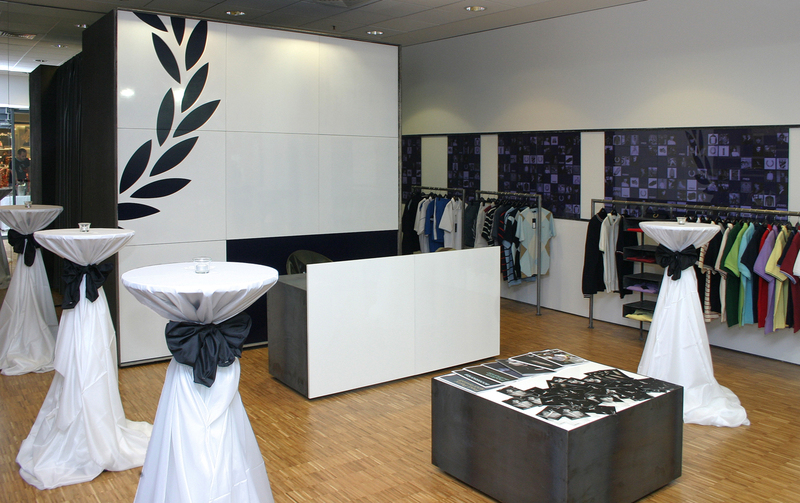 The space is located in the shopping center TZUM in the capital’s city centre. 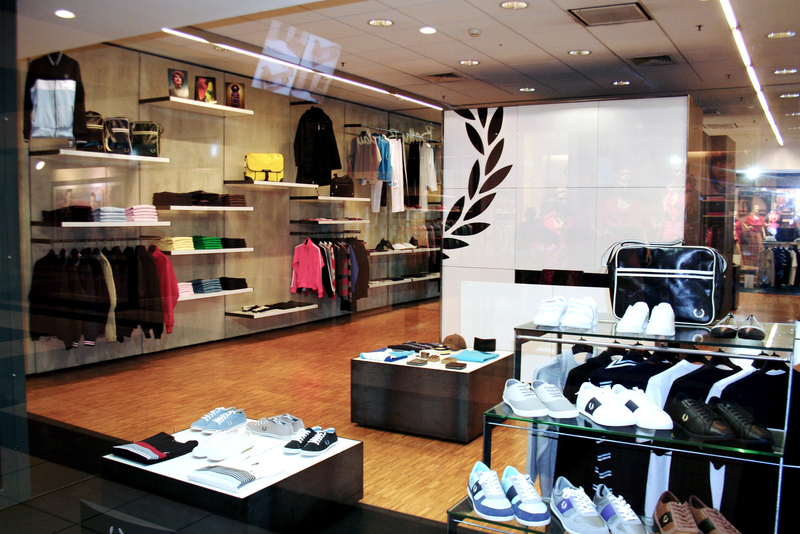 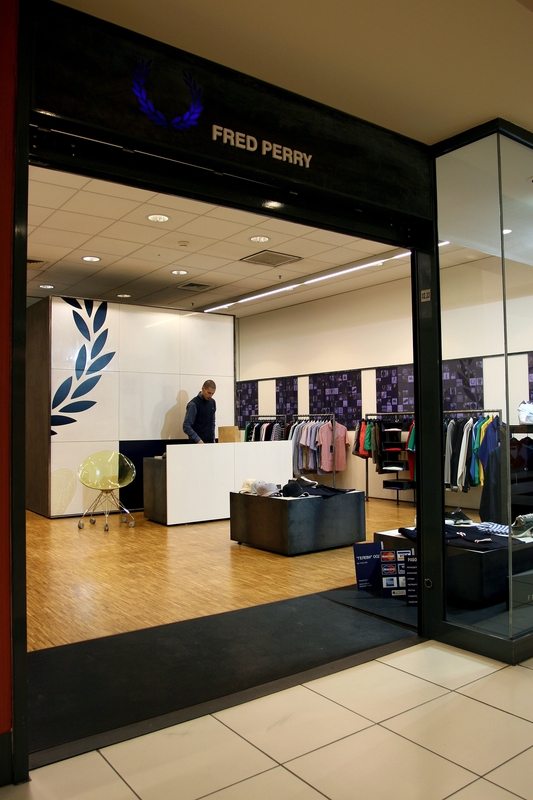 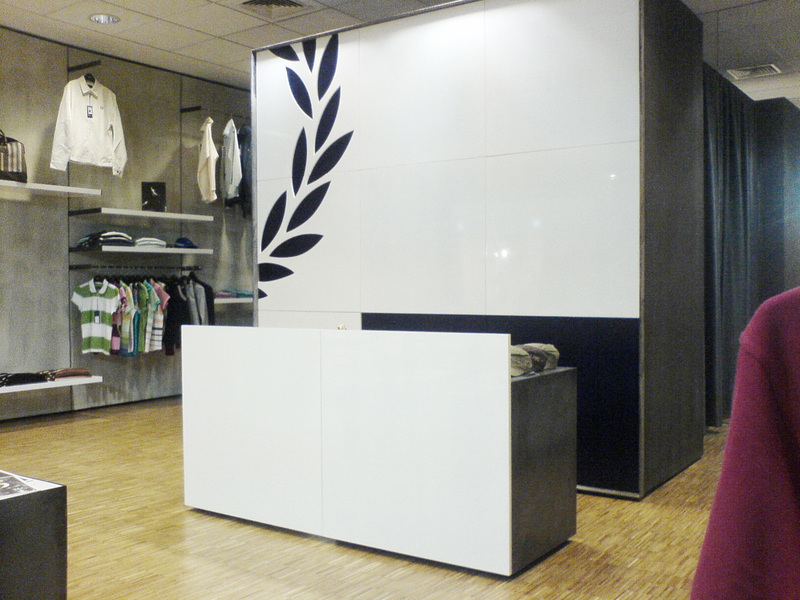 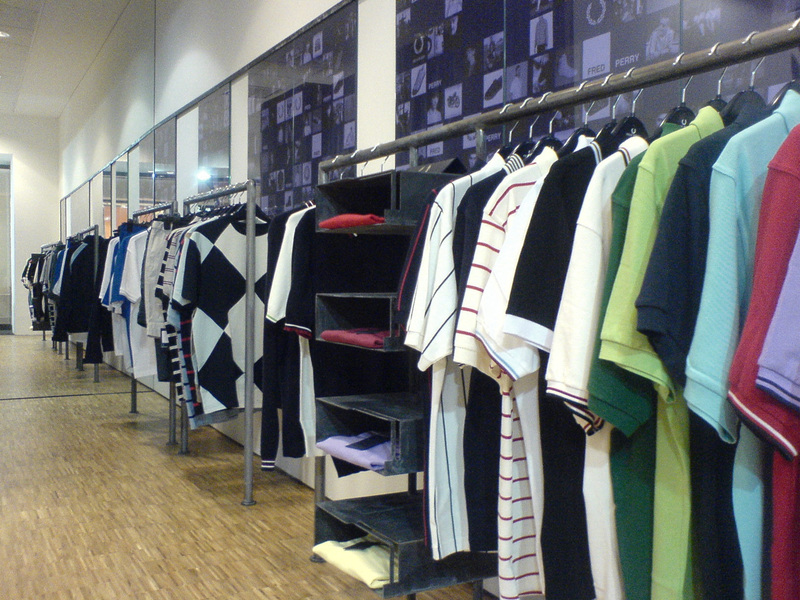 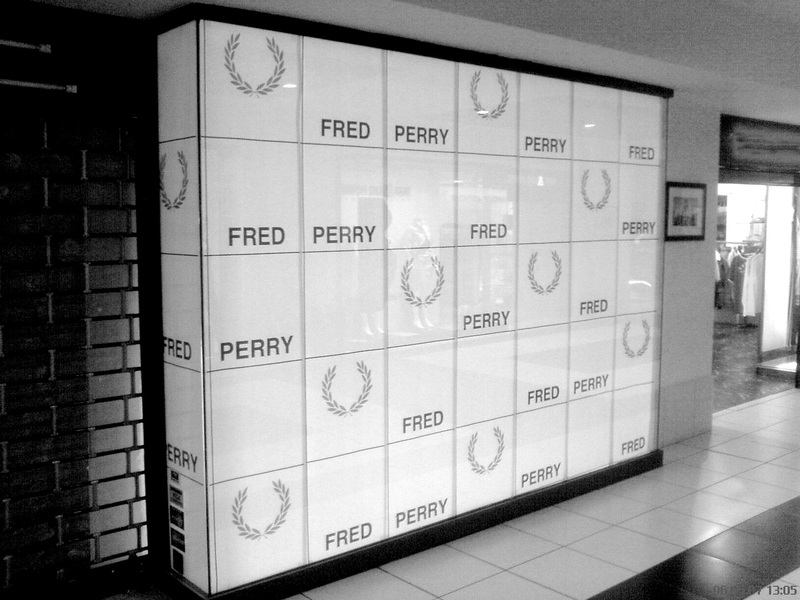 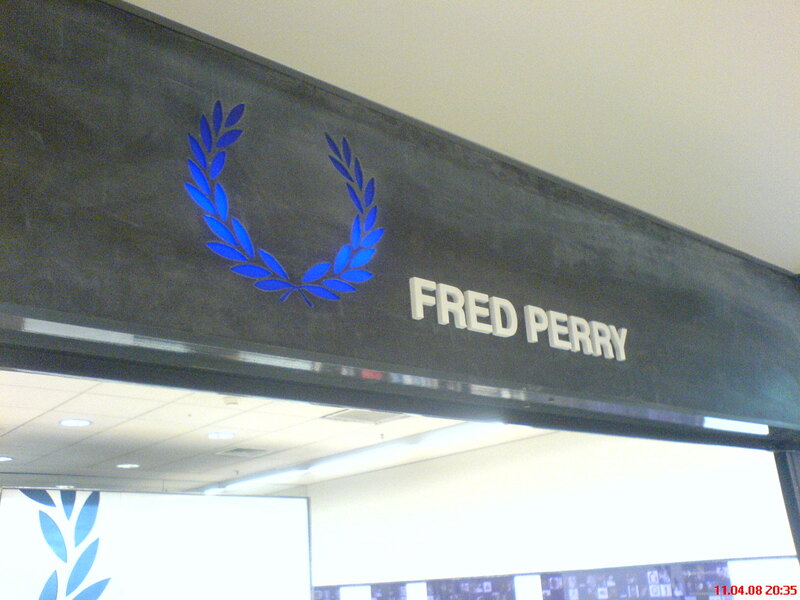 The brief required to keep the design close to the vision and corporate profile of the international chain Fred Perry.  conveyer’s project aims at creating a visual illusion , making the small space chosen by the client seem bigger than it is. 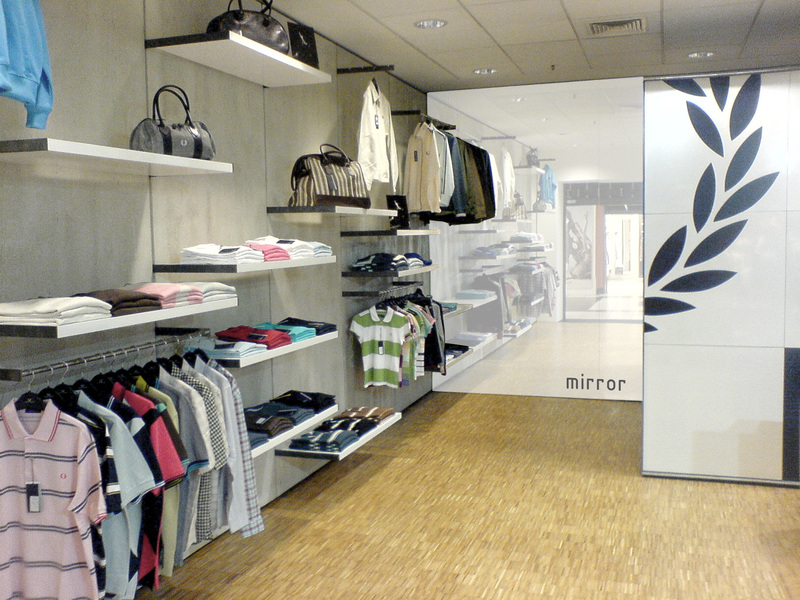 For this purpose, on the bottom wall of the store was placed a large mirror that gives a sense of greater depth to the visual space. 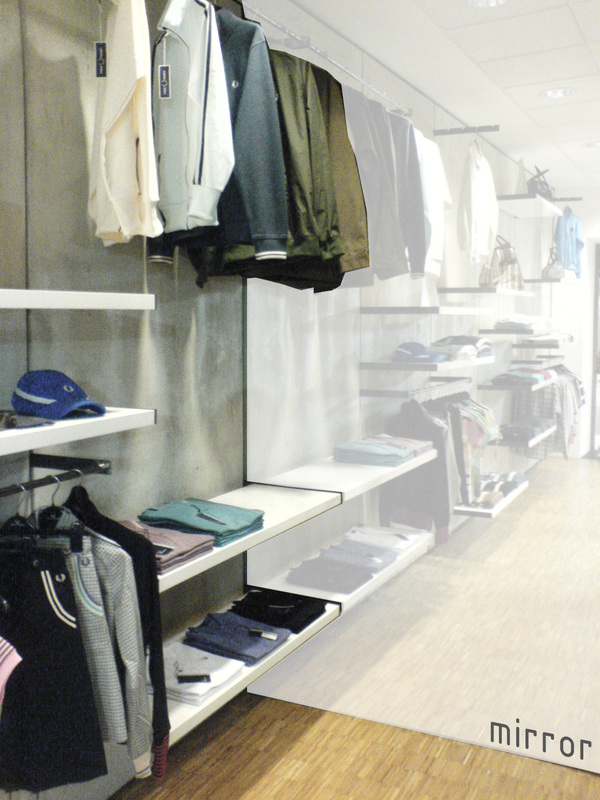 To enhance this effect, the storage space and the fitting rooms were placed in a free standing, separate from the walls and ceiling, volume that also carries the company’s branding. 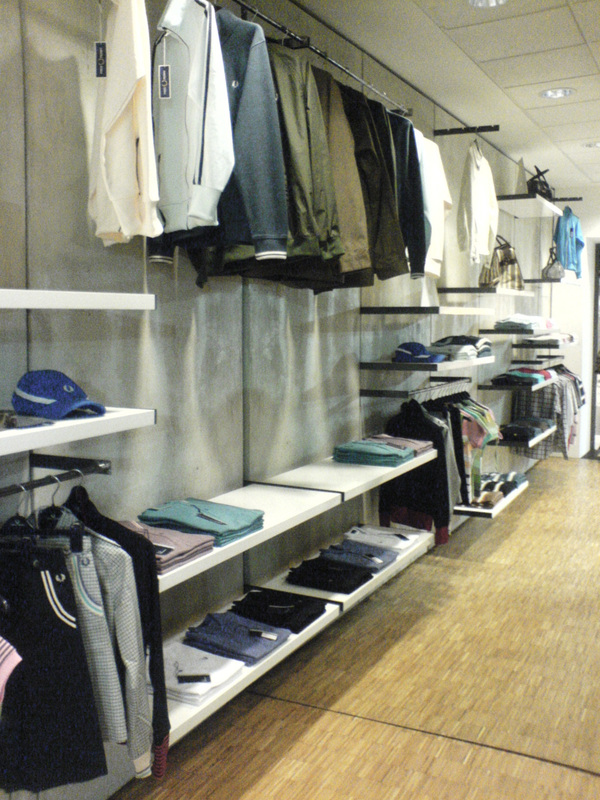 The remaining two walls of the store were designed as transforming exhibition areas that meet the needs of the current available items. 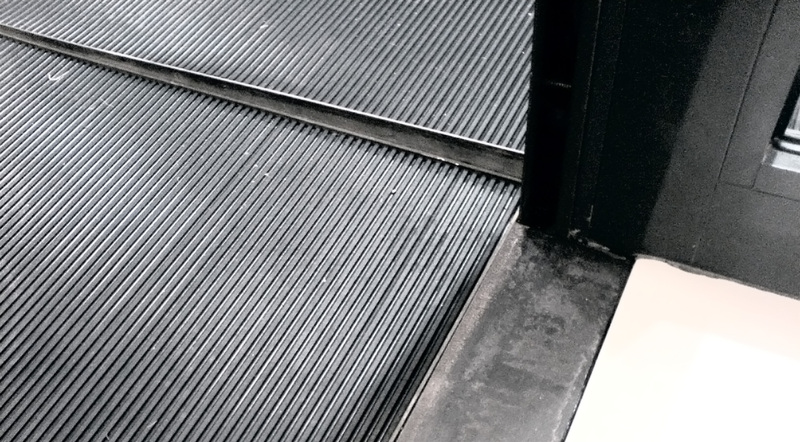 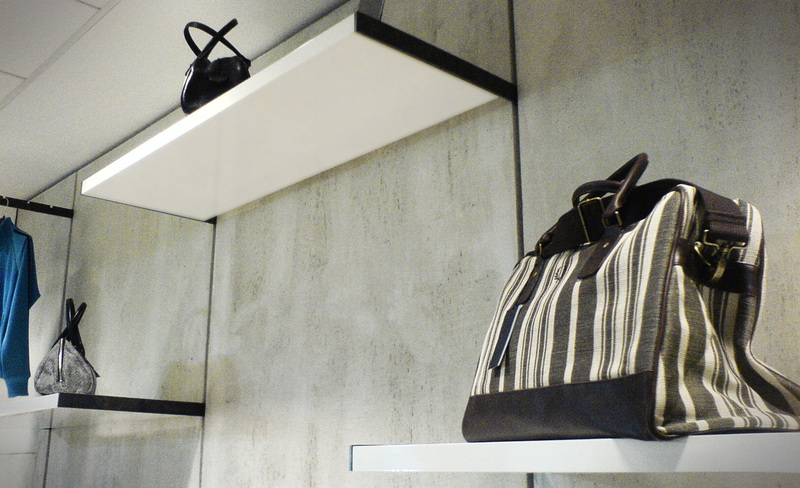 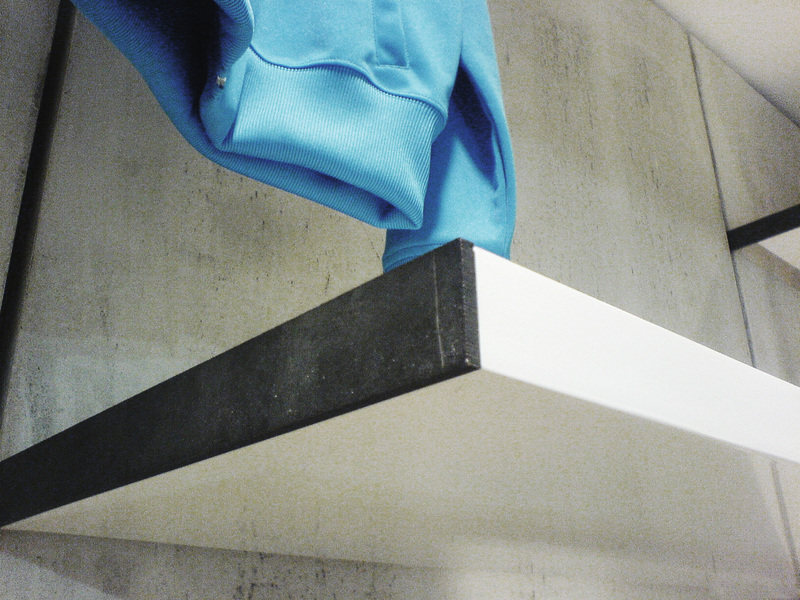 A system for suspending shelves and racks on different heights and positions was developed and its detail remained hidden behind the cladding of concrete panels forming the surface of the wall. 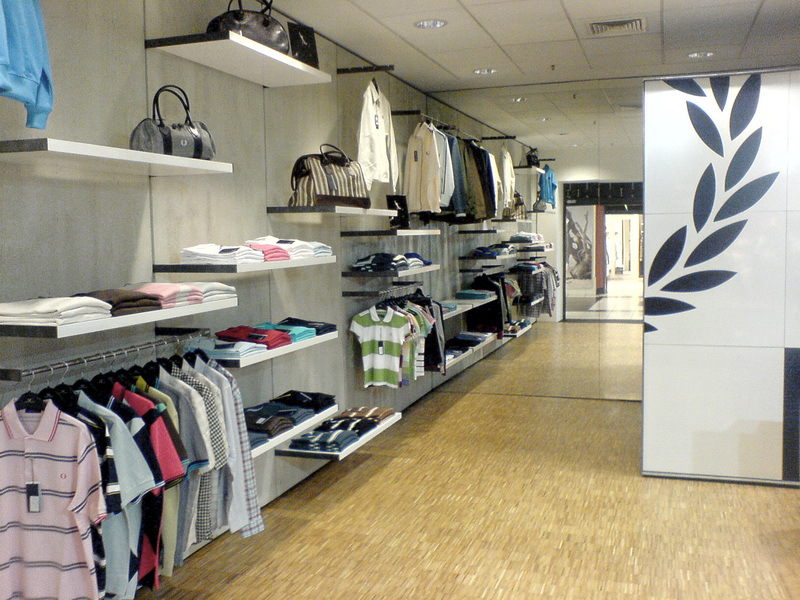 In the opposite wall is integrated a poster display that can easily be maintained, giving the possibility to change the current vision of the store according to the available items. 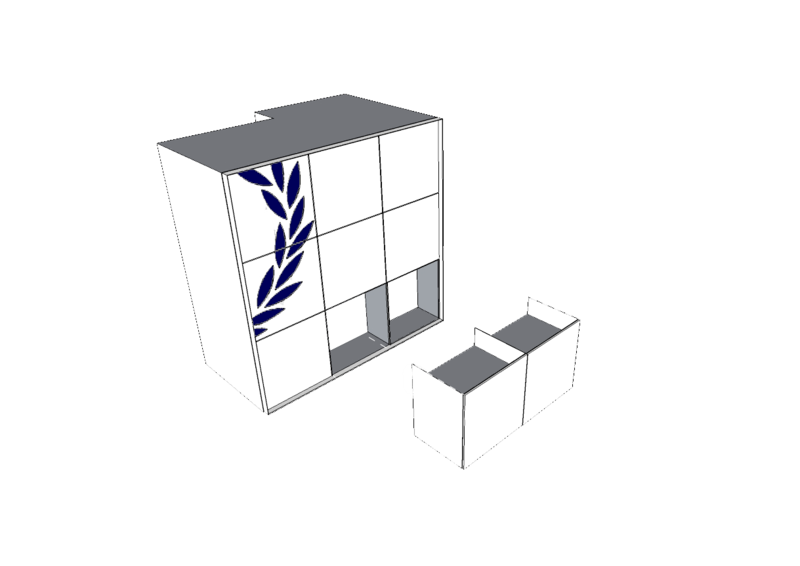 The display boxes in the shop window area are also used as additional storage space, extremely useful in the small store space.